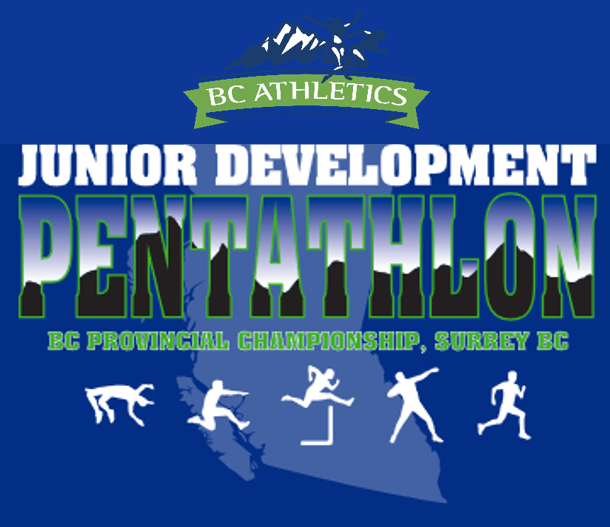 The BC JD Pentathlon Championship is focused on ​five track & field events, including High Jump, Long Jump, Sprint Hurdles, Shot Put, and Middle Distance Run. ​Registration Deadline: June 16th, 2018. ​Register before the deadline and get a souvenir t-shirt customized for the event! See the t-shirt design below! BONUS: ​register before the deadline and have the option to purchase a souvenir hoodie customized for the event at checkout!